We offer a full range of Largo property management services tailored to you as an investor, homeowner, or landlord. 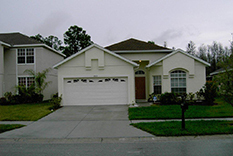 We have an extensive portfolio of single family homes, townhouses, condos, and apartments in the Largo area. Largo, the third largest city in Pinellas County, is centrally located in Tampa Bay, touching the Intracoastal Waterway to the southwest and Tampa Bay to the northeast. 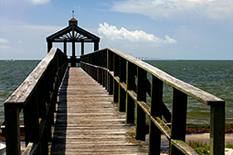 Clearwater is Largo's neighbor to the north. To the northwest are the towns of Belleair and Belleair Bluffs. The city of Pinellas Park lies south of eastern Largo; Seminole lies south of western Largo. Largo was first incorporated in 1905. In 1913, it became the first municipality in Pinellas County to adopt a council-manager government. It switched back and forth from "town" to "city" a few times, and became a city again in 1974. It was an exporter of agricultural products until the 1960s when the influx of people began to transform it into a bedroom community. From 1905 to 2010, Largo grew in area from 9/16ths of a square mile to about 19 square miles, and in population from about 300 people to more than 70,000.